The first dance I wanted to post here is a rerun from the last post. Rani won an award for this film (the Nigar Award), and it was a breakthrough for her after a few years of having a not-so-spectacular start. The film was Mera Ghar Meri Jannat. Before I had seen this dance, I had mainly seen Rani in semi-classical dances and folk dances, but I was not surprised that she was versatile enough to make a breakthrough with a mod cabaret dance. She was a very good dancer, with a lot of energy, and she had a distinctive face, with very expressive eyes (and eyebrows, as the Dawn article pointed out). The film Anjuman (1970) had a few exceptional dances by Rani, and it was even more difficult to narrow my favorites down to one. In fact, I couldn’t. It was difficult to narrow them down to two also, but that’s what I did. This first dance is a sweet semi-classical number… Though I think it is far from real classical dance, and it would be fair to say that it merely contains references to Bharatanatyam. Nonetheless, it is very enjoyable to watch. We also get some nice close-ups of those expressive Rani eyes and eyebrows. 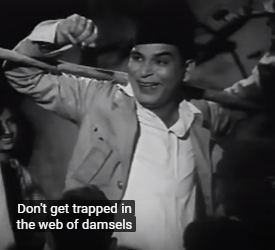 By the way, it should be noted that the song sung by Noor Jehan for this scene had also been sung by Lata Mangeshkar for the same music director, Nisar Bazmi, in the film Kar Bhala (1956). The other dance from Anjuman that I had to post is a more modern, seductive dance, in a scene with her frequent co-star Waheed Murad. The song is another delightful hit by Runa Laila. Now for a somewhat different sort of scene, here is Rani being wooed (I would assume) in a rural setting in the Punjabi movie Chan Makhna (1968). There is another scene in which her character is singing this song, but I like Rani in this scene more. (Her expressions are wonderful!) 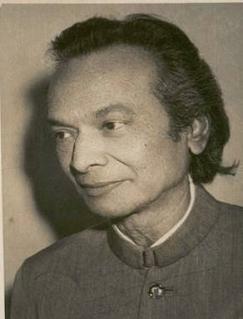 The singer both on-screen and off is Inayat Hussain Bhatti. And by the way, this song can really get stuck in my head – the way many good Punjabi songs do. And now for the last selection… Actually, I didn’t know that I would be closing this post with several film scenes starring Rani and Inayat Bhatti, but as I looked for good Rani clips, I realized that there were a lot of good Punjabi films starring these two together. This final sequence is a quintessential Punjabi song from Sajjan Pyara (1968)…with vocals by Noor Jehan (of course) and terrifically energetic dancing and emoting by Rani. I guess that most of the Rani selections that I have decided to post here come from the early side of her career (though even these films were released a little later than most of the films from India and Pakistan that I tend to favor). I gather, from what I have seen, that she actually did reach her peak in the ’60s and ’70s (at a normal age for a movie actress in this time and place to do so), but she continued to act in films as well as a TV serial up until the early ’90s. Then, in 1993, cancer took her, when she was only 46 years old. Like a few other of our favorite actresses, she died a tragically early death and went through a lot of difficulties before that. But according to the accounts that I have read, she faced it all with great strength and vitality. P.S. 5/30: Miranda’s Rani post is up now, and it is good: some very good general writing about Rani along with a nice, detailed review of Ek Hi Rasta (1967). But speaking of partition, etc., a couple of the dancers that I am showing here actually were in Indian films from the 1940s, and I basically followed them to Pakistan. Actually, I followed them a while ago and did some posts about it then, but those posts are at least a few years old now, and some of them have even lost clips. So, there’s yet another reason for me to write this post today! There is something about this first dance that is very unusual. It appears in Zinda Laash (1967), which is a horror/vampire film (which might explain why it is so strange). The dancer is Cham Cham, and she is very good. . This next dance was the breakthrough dance for Rani. Rani was very talented as both an actress and a dancer, and I also really like the way she looked. She is one of my favorite actresses from Pakistani cinema. I had originally started to notice her after watching her great performance in Umrao Jaan Ada, which came out in 1972. But this very modern dance from the 1968 film Mera Ghar Meri Jannat is just fantastic! 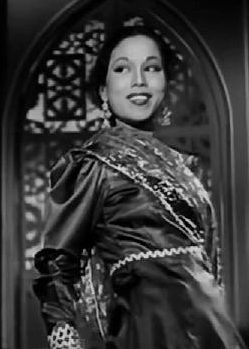 The actress doing this next cabaret dance in Mousiqar (1962) is one of the ones I followed from Indian films, and fans of 1940s Hindi films might recognize her face since she was the “Lara Lappa girl” in Ek Thi Ladki some 13 years earlier. I posted this Meena Shorey clip in a subtitled version five years ago, but that clip was taken down. This is one of Tom’s clips and so it’s pretty good-quality, but unfortunately, it never got subtitled. So for those who don’t understand Urdu, I’ll give you a quick summary of what the songs says, which is, basically, life stinks so you might as well just get drunk as hell every night. (I believe that’s the gist of it…) And Meena Shorey is kind of fun as the vamp in this film, though she was better as the very un-vampish kind of character that she played in Ek Thi Ladki. Speaking of vamps… Going up to the mid 1970s, I have been watching some scenes from a “notorious” Punjabi film called Pindiwal. These are simply indescribable – and so is Neelo at this point.